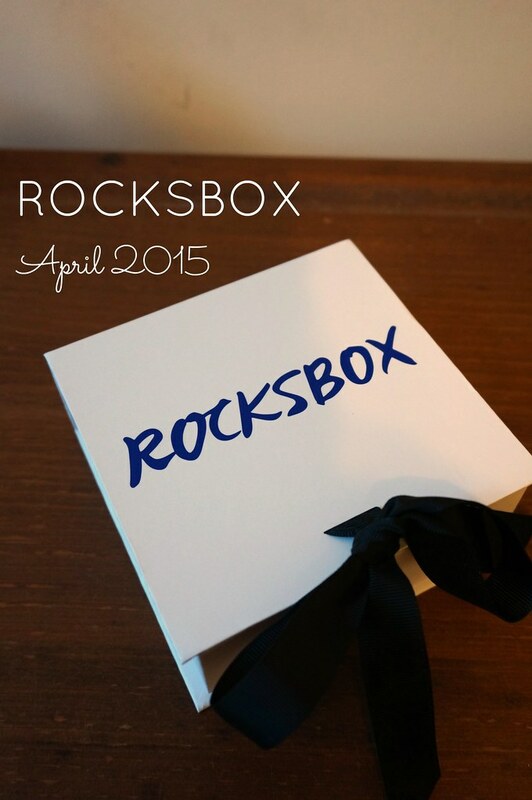 I have been given a complimentary 3-month Rocksbox subscription. All opinions are mine alone. Rocksbox is one of my favorite subscription boxes. In case you’ve never heard of it, it’s basically the Netflix of jewerly. 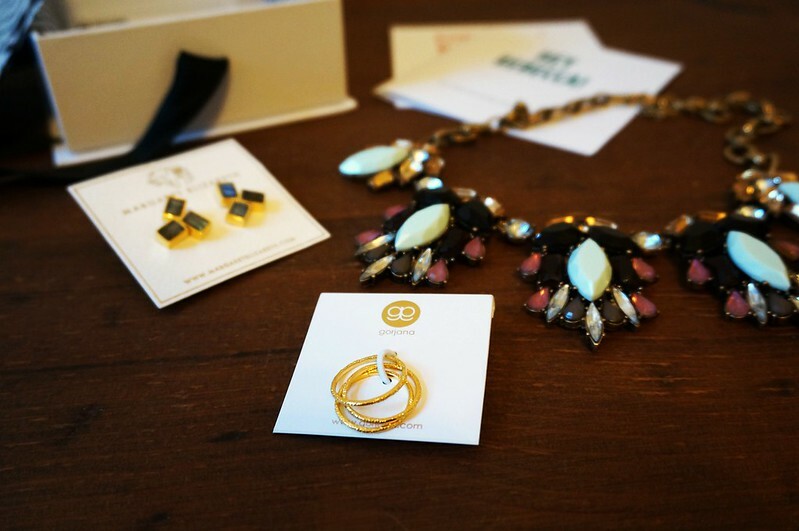 For $19, you are sent three designer jewelry pieces to wear as long as you’re a member. You can wear those three pieces as much as you want and send it back when you want a new set! If you want to purchase any items, Rocksbox members are given a 20% discount a monthly shine spend of $10. That’s right, you get $10 per month to spend! It’s pretty amazing. Here’s my second box for April. If you’re interested in getting one month of Rocksbox free, I’ll have a coupon code at the end. If you’re at all interested, you’ll want to take advantage of the code. It has a three person limit each month. As soon as three people have used it, I’ll remove the coupon code information from this post. 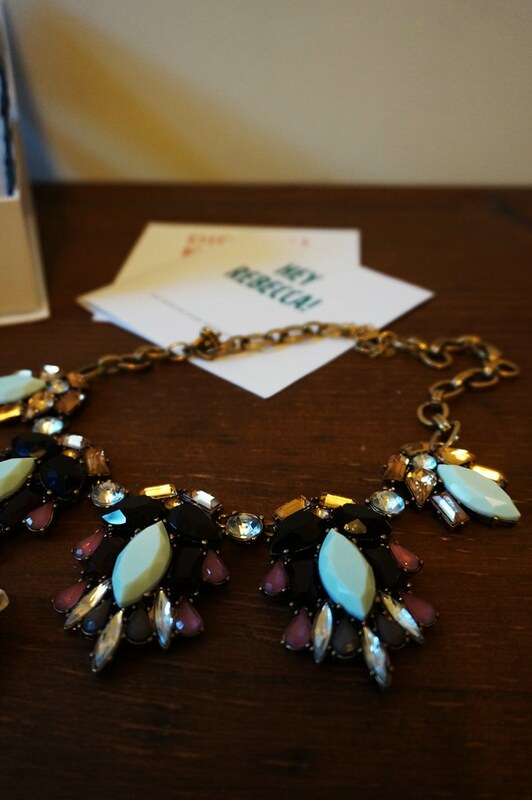 This necklace is so gorgeous. I love the mint and garnet color combo. It’s kind of springy but could also be worn in the colder months. I enjoyed wearing this but decided to send this back. I couldn’t see the color combo working in my wardrobe, no matter how much I love it. 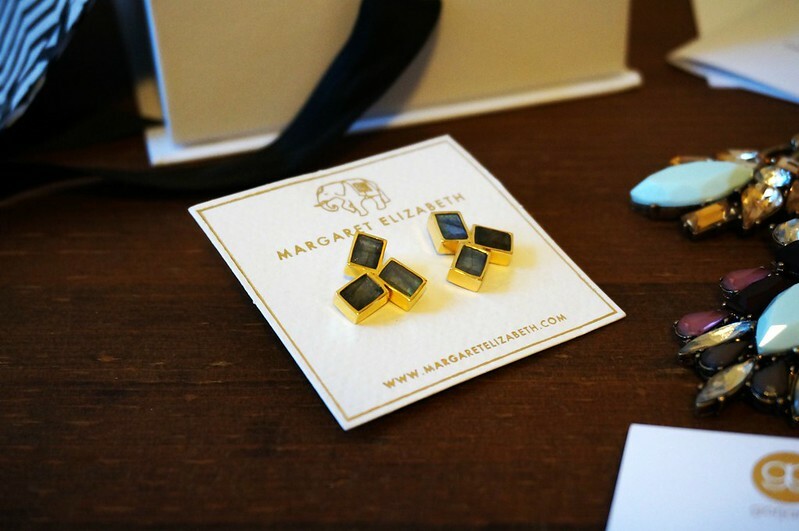 I love the look of Margaret Elizabeth jewelry. These earrings sparked my interest as soon as I took them out of my box. When I tried them on, I just couldn’t get them to look right. They are gorgeous but none of my outfits looked right with them. I’d love to try these in a different color. I absolutely adore Gorjana jewelry. Most of the pieces are delicate and understated. I’ve loved every Gorjana item I’ve received in my boxes, but this is the first one I’ve purchased. With my monthly shin spend and credits I’ve earned, these cost me $1! I really couldn’t say not do that, could I? If you’d like to try Rocksbox free for one month, use coupon code rebeccabff17. What have you received from Rocksbox lately?